Typical corded are pot and axe heads . The Bell Beaker Culture was a Bronze Age culture that existed in areas scattered across Central and Western Europe, including present-day Britain, France, Spain, and Germany. It was strongly associated with the Corded Ware Cultures that appeared around the same time and in the same regions . Archaeologists once proposed that the bell-shaped beaker pots that defined this culture represented a male-drinking tradition , but current research suggests this may not be accurate. Whatever the use of these vessels, they were clearly significant to this culture and were often found at burial sites. The appearance of the Bell Beaker and Corded Ware Cultures of Europe have proven to be an enigmatic period in the history of the continent. Both were remarkably uniform cultures that spread quickly across broad swathes of the continent, with evidence that the Corded Ware peoples started in the east. There has been much debate of where these cultures came from, but they are now considered to have originated in the Pontic Steppe region of what is now Ukraine and Russia, between the Caspian and Black Seas [8-9]. The people that are believed to be source of the Corded Ware Culture were the Yamnaya, a named derived from the Russian for the pit burials that were found in present-day Ukraine and Russia . Many of these cultures coexisted with earlier Neolithic societies as they spread across Europe. Chemical analyses of teeth from early Corded Ware burial sites has demonstrated that many of these people were migrants from other areas of Europe. 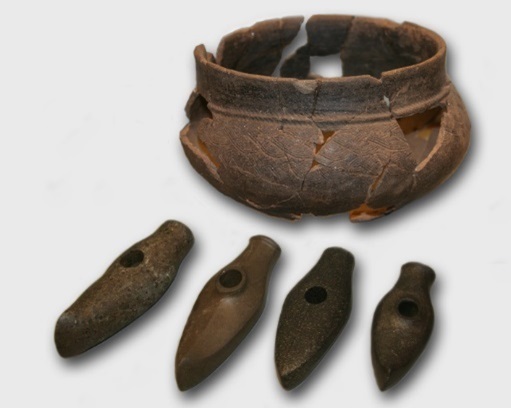 There is also evidence for intermarriage between Corded Ware and earlier Neolithic peoples , as well as for conflict and resistance to these migrants . Some researchers now believe that these were the people who brought Indo-European languages to Europe , the earliest form of most of the languages spoken in Europe today. The Yamnaya and Early Corded Ware people were nomadic herders, and there is little evidence of settlements in the Steppe regions and during their migrations into Eastern Europe [14-15]. They lived of a diet of fish, dairy, and meat, while practicing little farming . The term Corded Ware is derived from ceramic vessels made by these people that were decorated by using making impressions using ropes or ‘cords.’ These ceramic vessels have been found in burial sites throughout Europe . People were often buried with a variety of other grave goods, such as battle axes, pendants, and bone plates. This was also a period of dramatic technological change. The early Corded Ware societies were often still reliant on stone tools, but over the course of the Corded Ware period the use of copper and eventually bronze appeared and revolutionized society . It was discovered that by adding tin to copper, a harder metal could be formed. Once the Bronze Age became fully underway in Europe, people started making bronze, daggers, weapons, as well as other tools . The twenty-two individuals in this sample came from three sites in present day Germany. Thirteen came from the site of Alburg-Lerchenhaid, located at the western edge of the Bavarian city of Straubing, while five came from the site of Augsburg Sportgelände and three from Hugo-Eckener-Straße, both of which are within the Bavarian city of Augsburg. These individuals were carbon-dated to between 4,000 and 4,500 years old. The Beaker culture had different burial customs for men and women with men being buried with weapons. This difference was seen in the graves for the Alburg site . These graves were accompanied by pottery. 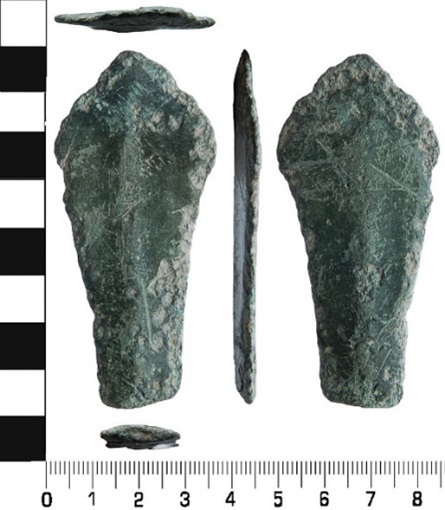 The site of Augsburg Sportgelände contained many graves, and one of the graves in this sample contained male that was buried with a wrist plate and arrowheads, as well as pottery typical of the era. Strontium evidence has shown that some of these individuals were non-local . At the Hugo-Exkner- Straße site these individuals were also buried with Bell Beaker pottery, as well one individual, who was buried with a piece of worked stone. Genetic analysis has shown that these individuals had a strong connection to Yamnaya people from the east that migrated into Europe to form the Corded Ware and Bell Beaker Cultures . These migrations brought sweeping changes to the genetic map of Europe. While it was initially debated whether the Corded Ware cultures represented a diffusion of technology rather than a movement of people, recent genetic analysis has shown that large scale migration did occur into Eastern and Central Europe from the Pontic Steppe area of present-day Eastern Ukraine and Southern Russia [22-23]. Analysis of individuals specifically associated with the Bell Beaker Culture have not found a closer relationship between these individuals from different regions of Europe, suggesting that this culture was transmitted more as a cultural pattern rather than a separate people from the rest of the European population . 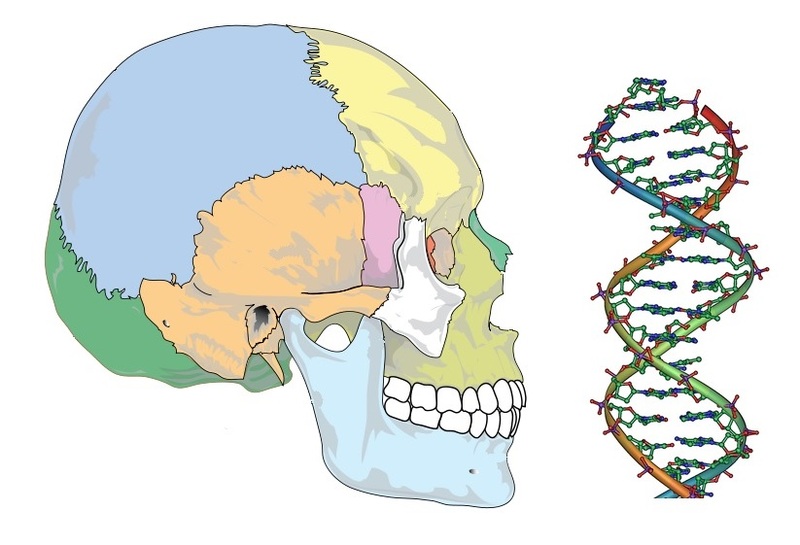 Ten individuals belonged to the mitochondrial H haplogroup, which is also commonly found in modern Europe and is known to have Middle Eastern origins. It has also been found in Mesolithic hunter-gatherers, and existed in Europe prior to the arrival of agriculture . This haplogroup was common in Europe and can be traced back to the Franco-Cantabrian region of Europe prior to the arrival of agriculture. The remaining twelve mitochondrial haplogroups were a mix of J, K, I, T, and U. Haplogroups J, K, I, and T are thought to have recent Paleolithic or Mesolithic origins in the Caucuses and Middle East regions, and were through to have spread to Europe through steppe migrations [25-28]. Four belonged to the U mitochondrial haplogroup, which was the most common haplogroup among European hunter-gatherers of the Paleolithic and still exists in Europe today although at lower frequencies due to the genetic contribution of incoming European farmers . All seven males in this sample belonged to the Y chromosome haplogroup R, which is a very ancient lineage thought to have arisen in Southeast Asia during the Paleolithic. It is widespread across the world today .